Good Medicine is Good Business. I’ve summed it all up in five words. The End. I’ve been an owner of medical practices for over 10 years and a doctor for nearly double that. Good Medicine is the bedrock of all Good Medical Businesses but it’s not all that goes into a Good Medical Business. How do you practice Good Medicine when you can’t pay your bills? How can you keep your mind on your valued patients if business worries are weighing on you? Your Business starts with You and so looking after yourself is a great start. A healthy mind in a healthy body and a business focus in a medical career are great systems for allowing doctors to practice the great medicine their valued patients deserve. 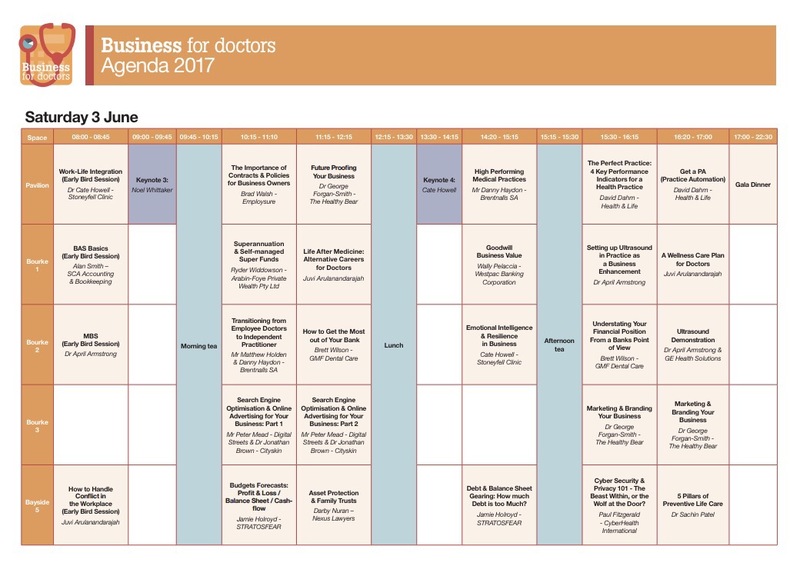 I’m heading off to the Business for Doctors conference in Melbourne. I’ve packed my running gear and I’ll be working on my business focus, a healthy mind, a healthy body, and a great practice. Melbourne – who can resist? Here’s some of the conference details. 2 Keynotes, 23 workshops including 2 interactive business learning workshops for BAS and Web design. Michael Traill – Using Business Disciplines for Social Purpose. Lessons from the trenches of social enterprise. 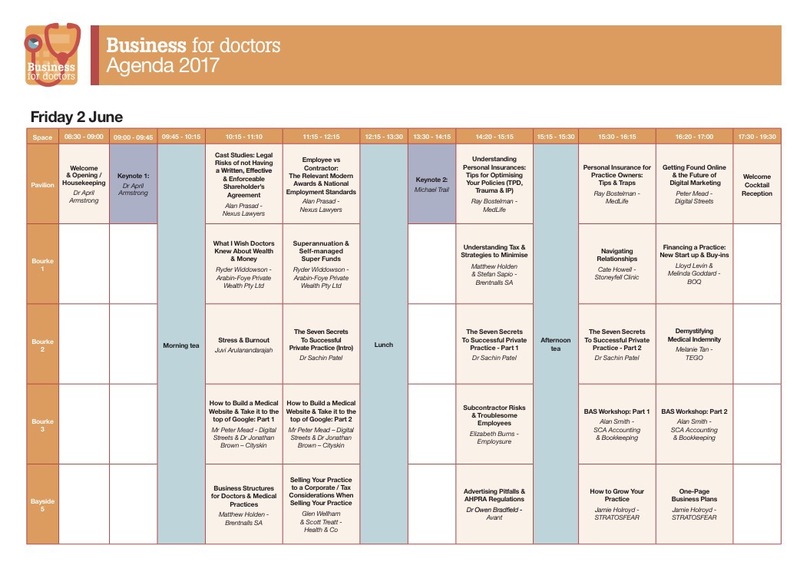 2 keynote speakers, 23 workshops and including 2 interactive workshops. I’m really looking forward to this and taking back some valuable information. Feel free to say hi when you see me running around at the conference and like this post and there’s a coffee in it! 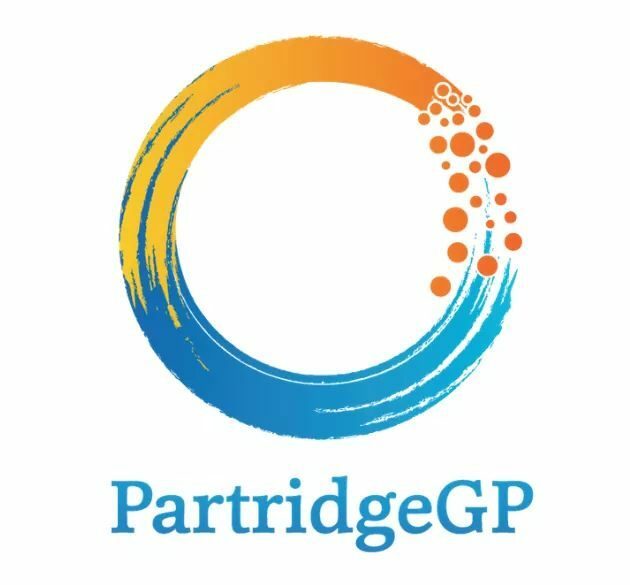 Partridge Street General Practice is also looking for Great GPs – could it be you? Remember – GPs and other doctors are always learning. Learn more, be better, practice better medicine AND have more time for you, your family, your patients, and your health! What more could you ask? Risks come at us everyday in our personal and professional lives. We do our best to avoid them but more often we protect ourselves with insurance. We accept that life involves risk. Risk happens! Health concerns all of us to some degree and we try to improve our health or at least to manage it. 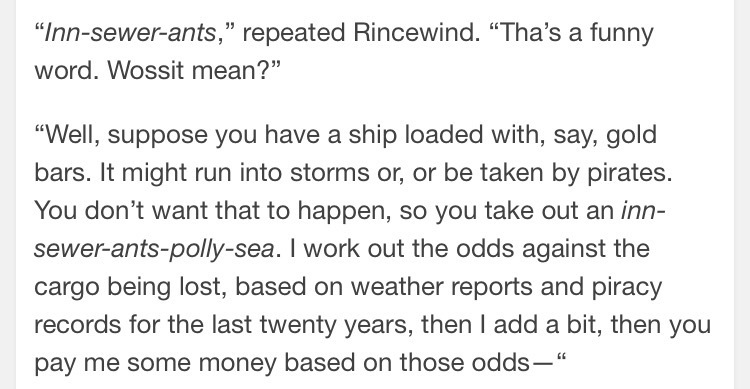 Some risks are foreseeable but some are not. These drive our uptake of health insurance. 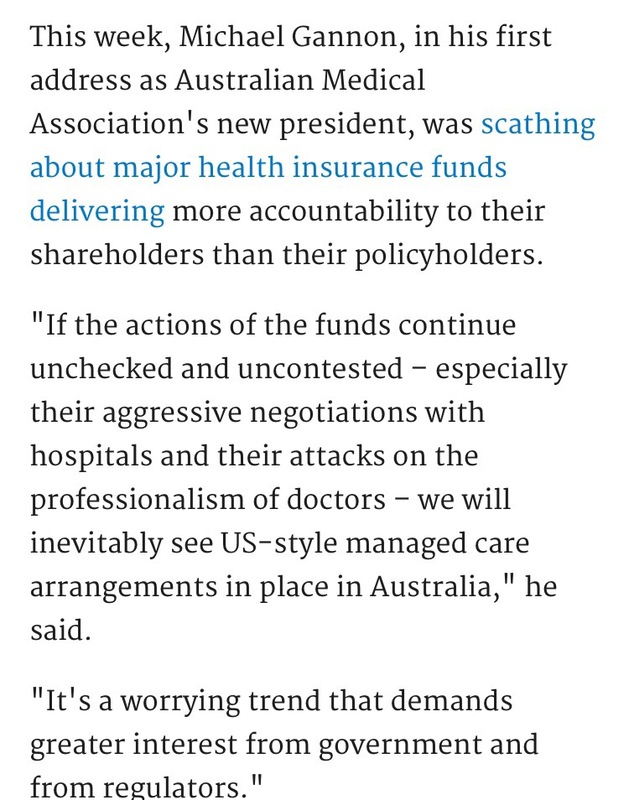 Health insurance is therefore a bit of a ‘grudge purchase’ – we don’t really want to buy it but we don’t want to do without it. 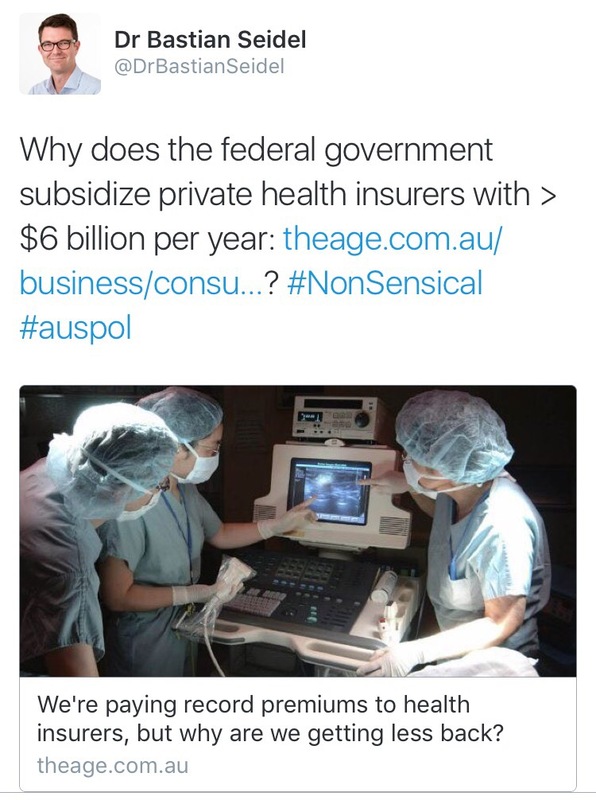 Is it worth the money we pay for it? Some high profile voices say no. Your health is your wealth, as the saying goes, and you build wealth by spending wisely. 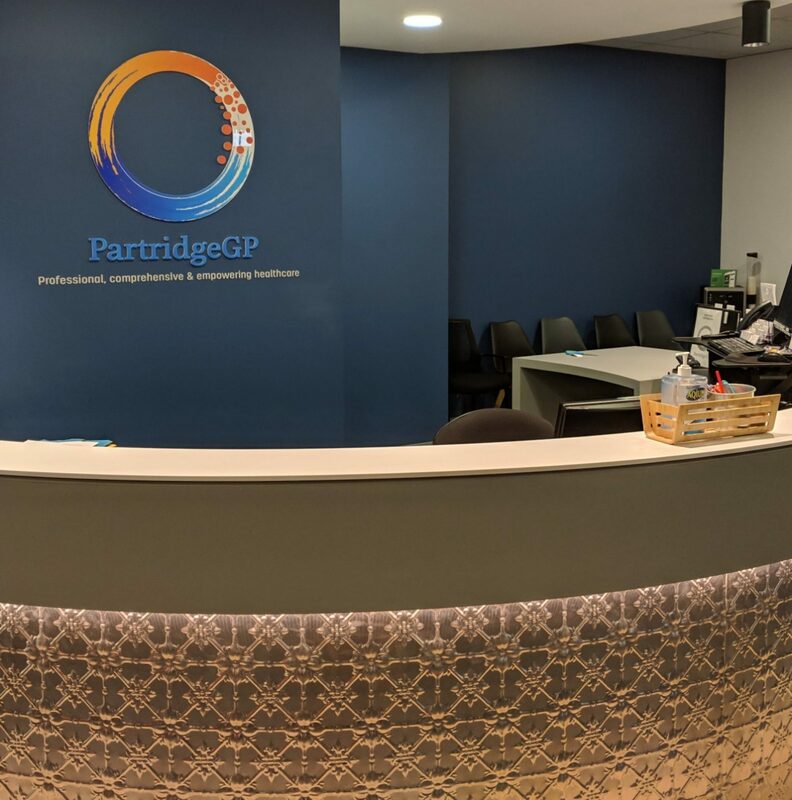 Your GP can be a great ally in navigating through the health system, a great support for you in times of need, and a great investment in your health. 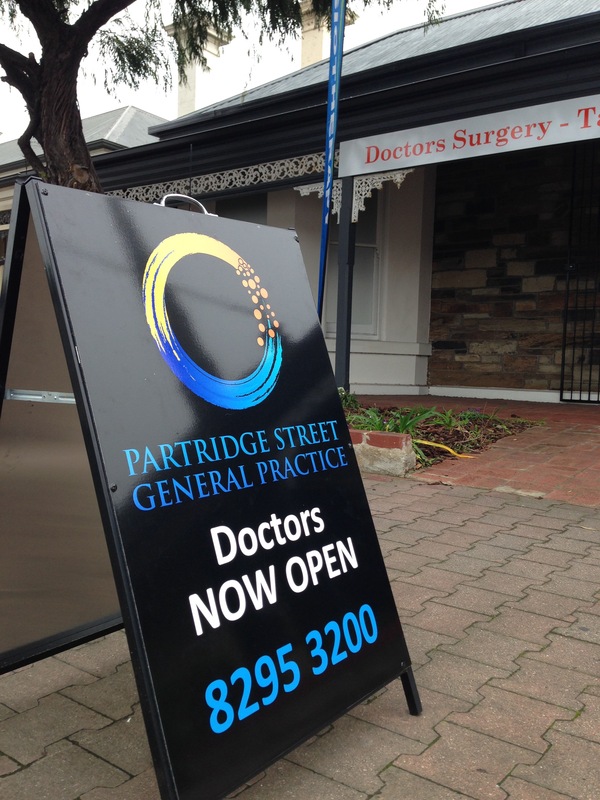 Partridge Street General Practice exists to empower you to make your best health decisions. We pride ourselves on great communication and we’re ready to share our professional skills and knowledge with you. You can meet our great team right here.